Allison ring is made with .925 Silver with a "De-ox" alloy to prevent tarnishing like regular Sterling. This ring has a satin brushed finish giving the ring a white silver look. 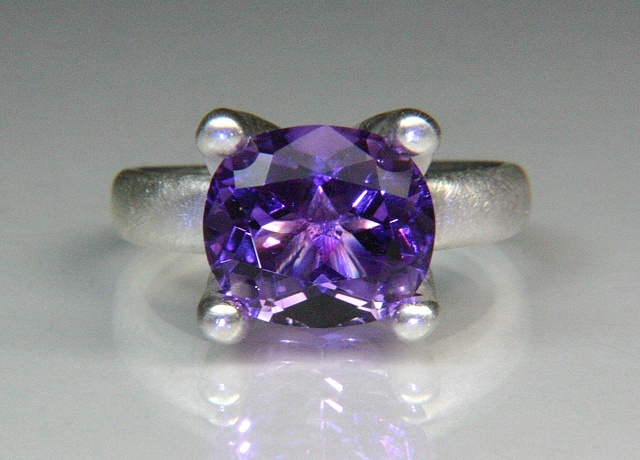 Set with a 11x9.8mm cushion roval shaped purple color shifting Amethyst.